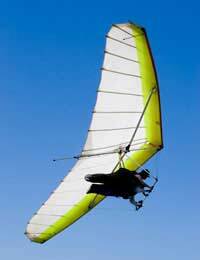 Gliding is a form of flying that can be as relaxed or as active as you wish to make it. It offers a very quite, peaceful and inexpensive path for taking to the skies. This is an excellent way to meet and socialise with the many different types of people who take part in this sport and fly the many different types of gliders that they either rent or own. In general most people who are deemed fit enough to drive a car are fit enough to fly! Quite a number of gliding schools are able to make arrangements to fly people with a wide range of disabilities if you call and give them the details in good time. There is no upper age limit to gliding but those over 70 years of age must get a letter from their GP stating that they are fit to do so. It is not possible to make a solo flight in a glider until a person has reached the age of 16. However there is nothing stopping someone under that age training with a qualified instructor and, if they are ready to do so and the weather allows it, making that solo flight on their 16th birthday! Some schools limit the minimum age to start training to 14 years old so that they do not become frustrated when they cannot make any further progress in their training until they reach 16. There are two principle methods used to “launch” a glider into the air, which are the aero tow and the winch launch. Being launched by aero tow is more expensive than the winch launch but it does have the advantage of being able to tow the glider to the desired altitude and location before being released. It is also very peaceful method to take to the air. The winch launch on the other hand is fast and furious and the glider must be released from the wire as soon as it reaches the maximum altitude at a point close to the launch site. A trial flight is the best way to find out if gliding is really for you. Be sure to check with your local club to find out if and when they offer trial flights as the club can be quite busy, especially on competition days, and may only be able to offer them on certain days and times of the week.But the most important thing to remember above all else is to enjoy the flight!